Manchester indie sextet Folks recently released a new single, “We’re All Dead”, a taster of their upcoming second album following their 2012 debut, ‘I See Cathedrals’. 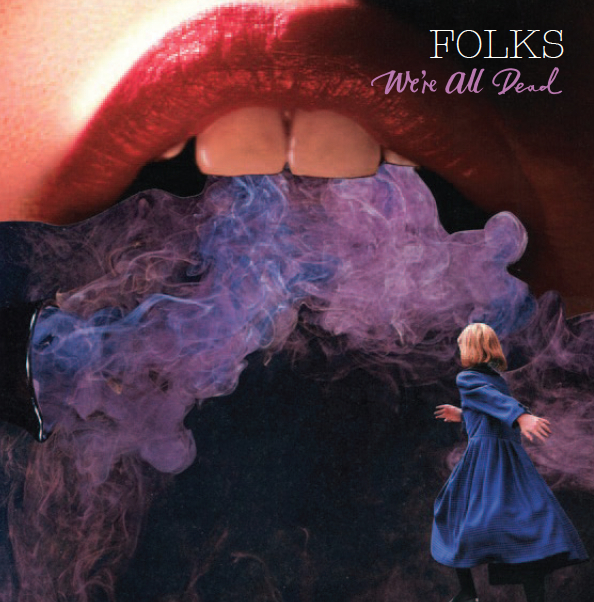 On “We’re All Dead,” Scott Anderson (vocals), Michael Beasley (guitar), Thom Fripp (guitar), Harry Gumery (bass), Wil Ackroyd (keys) and Elliot Barlow (drums) create a emotionally weighty but immediately commercially accessible brand of rock with folk-ish hues. A solidly crafted, journeying, and hook-laden number, “We’re All Dead” sits comfortably alongside Australia’s Powderfinger with hints of Noel Gallagher‘s brilliant solo record from 2011, as well as Travis. The band enjoyed a busy 18 months touring their debut album including supports with Miles Kane, Noel Gallagher & We Are Augustines, which saw them play to sell out crowds in the UK, Italy, Germany, Switzerland & France. They ended 2012 with a successful theatre tour supporting Band of Skulls and earlier this year toured the UK again with a successful run of headline dates in February. After those dates the band went back into the studio to record new songs with producer, Paul ‘Strangeboy’ Stacey (Oasis, Black Crowes) and the first offering is this single, ‘We’re All Dead’. Folks songwriter Michael Beasley explains that the song “was inspired by J G Ballard’s short story ‘The Life and Death of God’ and is an atypical Folks song is many ways. It’s more heartfelt and timeless. We started to perform the song on our recent tour with Band of Skulls and it became a band favourite. It is a great counterpoint to our other songs”. The single, ‘We’re All Dead’ was released on 17 May, 2013 and is available via iTunes UK now.